Teenager Giorno is a small-time thief, but that doesn’t mean he doesn’t have hopes and dreams! In fact, his aspirations are grand: to overthrow the head of a powerful mafia called Passione so he can finally help the people of Naples. Before he can set his sights on the boss, though, he has to worry about his petty minions – like Leaky-eye Luca, who appears before Giorno to demand protection money for operating in the territory of Passione. A decisive battle between the two ends with Leaky-eye Luca in a coma, but also with Giorno fated for assassination. Luckily for him, the assassin is a mafia member named Bruno who also has a desire to change how they do business in the city. In the end, Bruno agrees to help Giorno infiltrate the gang by inviting him as a member of Passione. 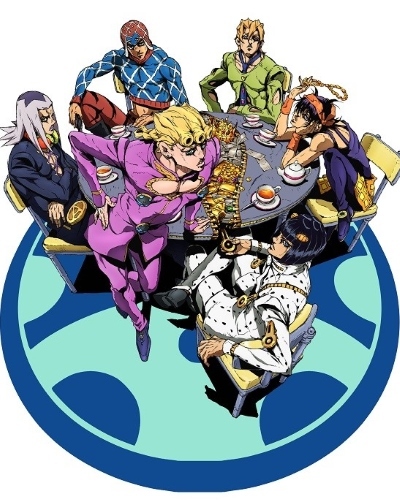 Now, Giorno, Bruno, and the other members of their group must rise through the ranks so they can get in with the boss, take him out for good, and help the city in a way only gangsters can.